The topic sounds disgusting, right? People may want to ask what the heck I am talking about. Food waste, one of the world’s most serious problems, is on the headline today. However, in this post, the term “food waste” refers to parts of plants or animals that no one consumes and disposed straight away. In this context, I will talk about the leaves of fennel. In most Western cuisines, the fennel bulbs are used in cooked dishes or in salads, but has anyone thought about what happened to the leaves? The Greeks uses them in both fresh and dried forms as spices but not many other cultures actually apply them in anything. 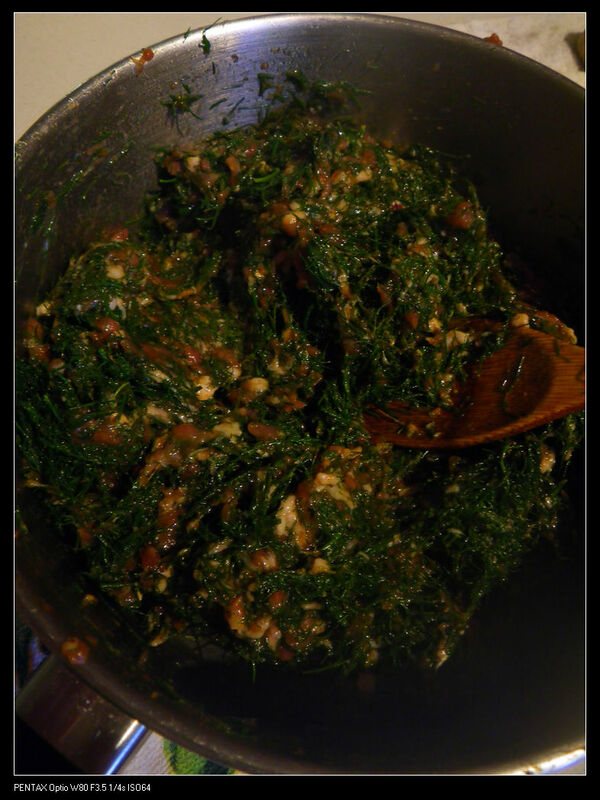 However, in the Eastern cuisines, fennel leaves are more towards the spiciness side of the story. Place all of the above, except salt and soy sauce, in a food processor and blend until smooth. Season with soy sauce and salt to taste. My wife made the dough herself and unfortunately I don’t have a clue on how she did it, but I guess buying them from Asian supermarkets can be an easier way. 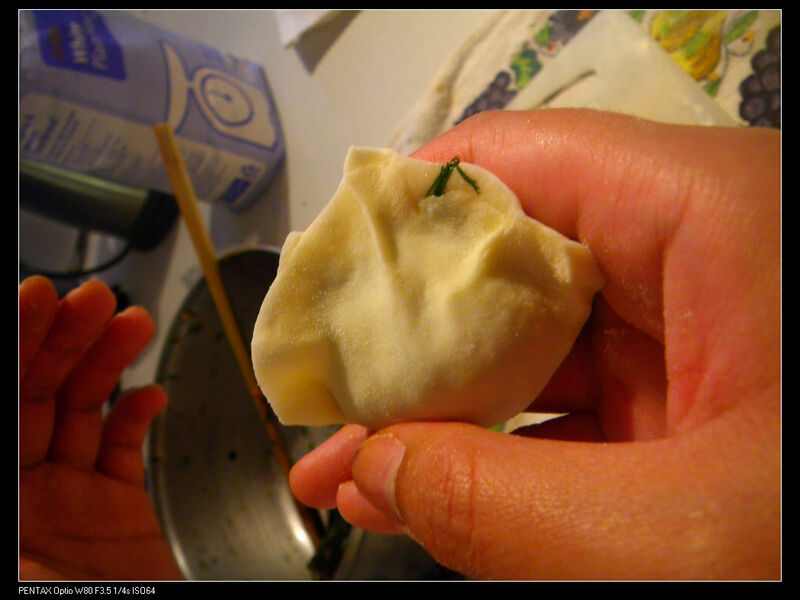 Making dumplings are relatively easy, all you need to do is to follow the guide below. 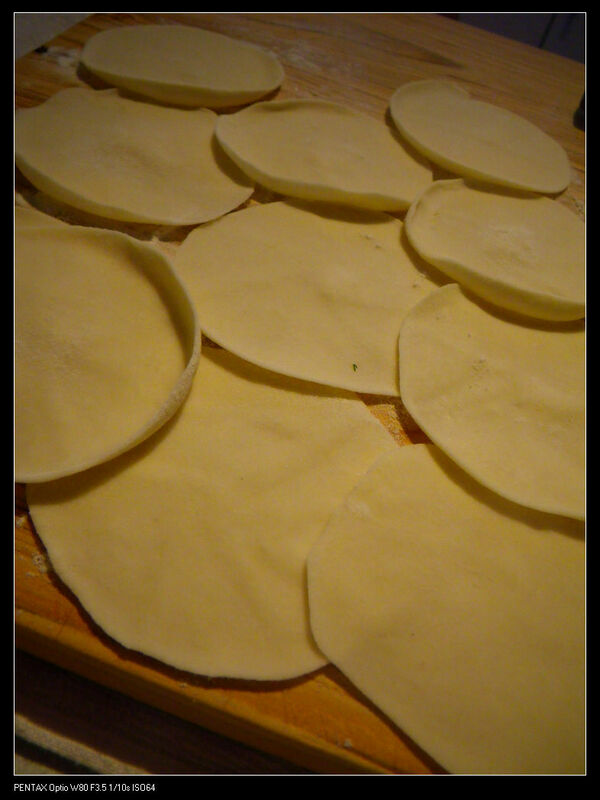 1. take 1 piece of the pastry and place some fillings in the center. 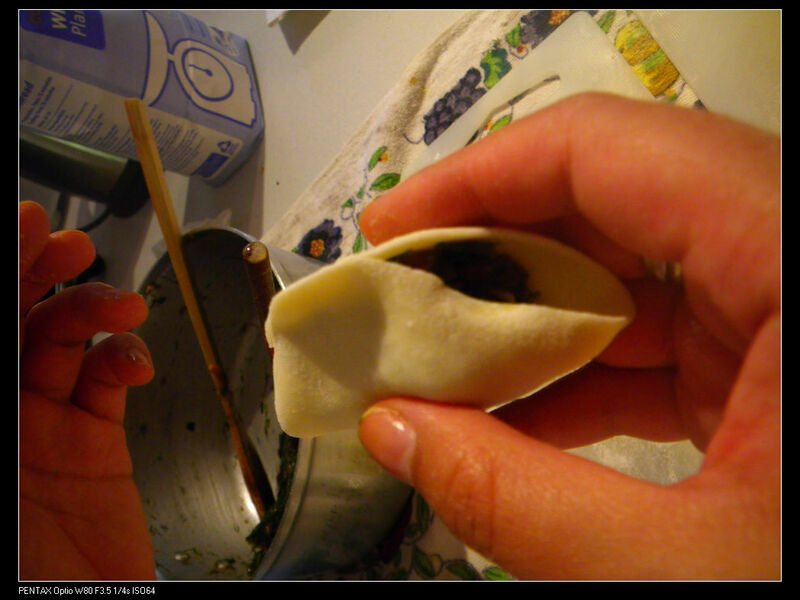 Do not overload your dumpling. 2. 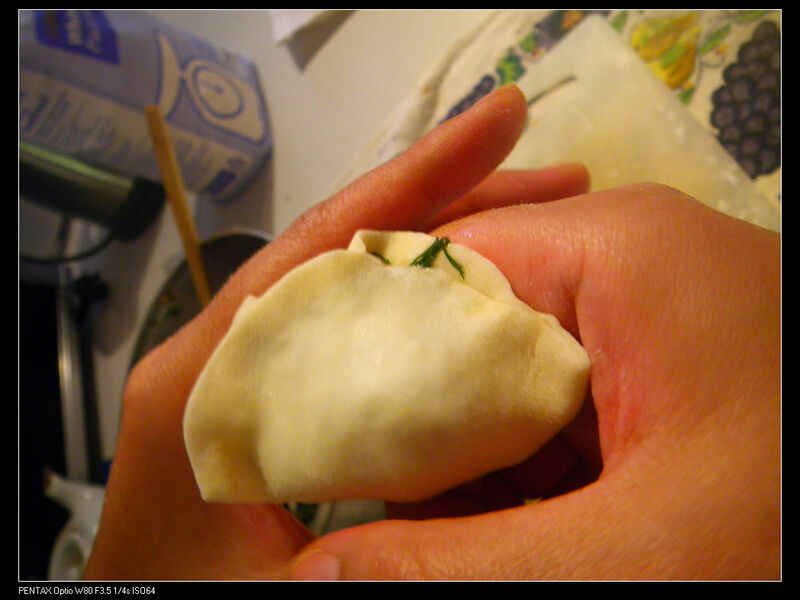 Fold the pastry in half and close the middle bit. Then use the two hands together to make a full closure. 3. 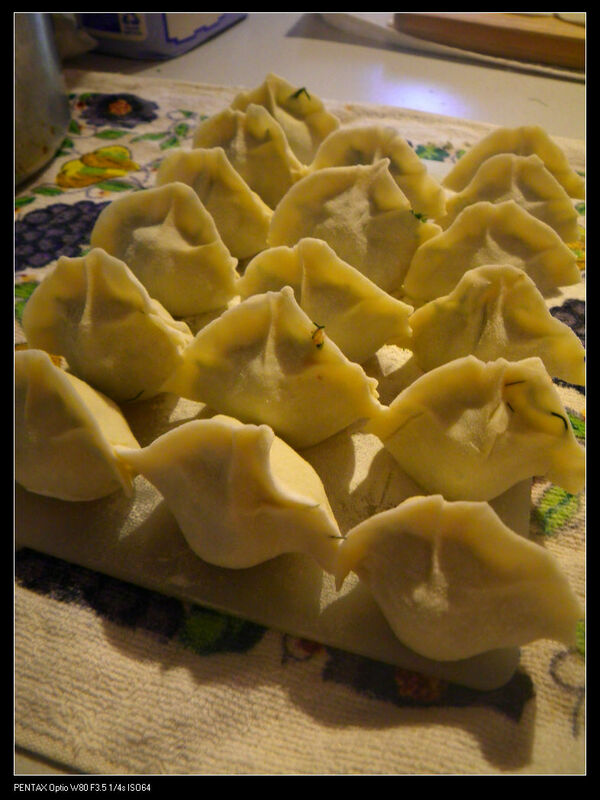 Place the dumplings in a large stew pot with boiling water (2/3 full) and wait until the water reboils for another 3 times until the dumplings are thoroughly cooked. 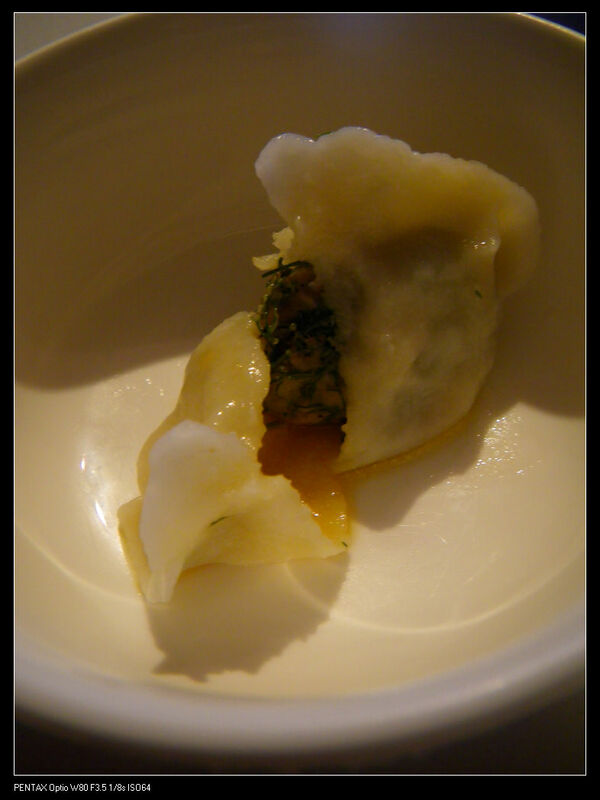 The finished dumpling are with strong aromas and sweetness in the filling which combined so well with the pork mince. The fillings were full of liquids, drained from the pork and mixed with the oils. Dip with Chinese rice vinegar or any of your favourite Asian sauce. Enjoy. I have some of the ingredients at home, need to go to the market for the rest. Having said that, I have never seen ‘fennel leaves’. I need to do some investigation. Hmmm Fae. In Australia, we eat mostly the fennel bulb in salad, stew or as sides for mains. In fact, I never see anywhere selling just the leaves. 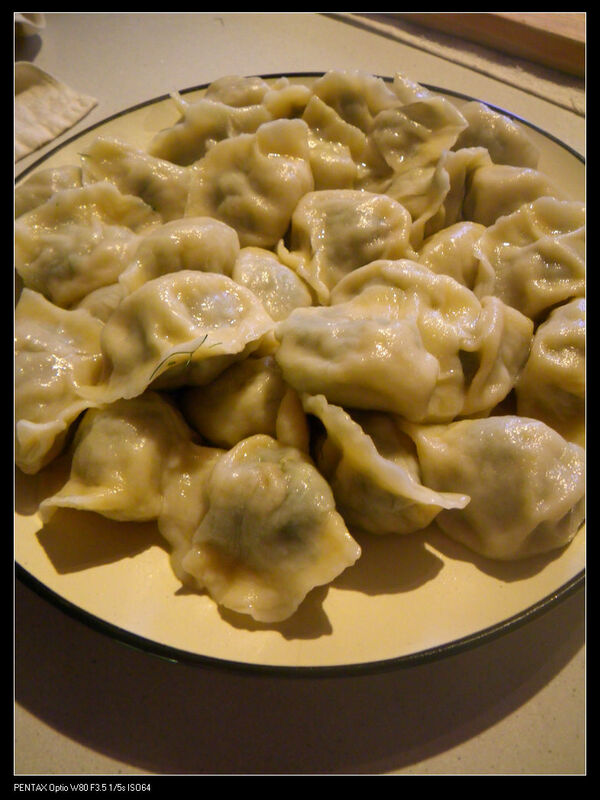 My wife tried to use the bulb for making dumplings before but it was even drier and spicier. 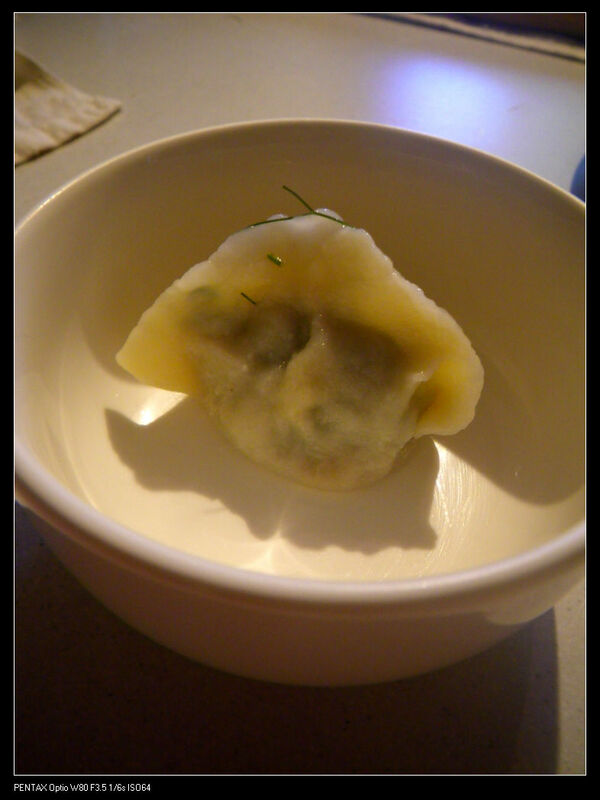 Make sure you don’t use dill Fae (:P) cos I read some blogs in the US talking about dill dumplings but dill has some bitterness which is not easy to get rid of. Yes, we eat fennel bulb too, but it hardly comes with any leaves, which does look like dill. I am amazed and excited by this recipe. I understood where you were coming from with the fennel leaves but it was when I read how much was used, well, I was hooked! This is wonderful, like using foraged/wild harvested food. You’re right, so much food is wasted here in Australia, other cultures do not tolerate this waste like we do. 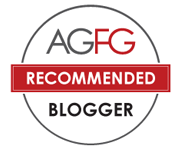 This blog reminds me of the time I had celery with my mom. My mom scolded me for throwing away celery leaves, and only ate the sticks. 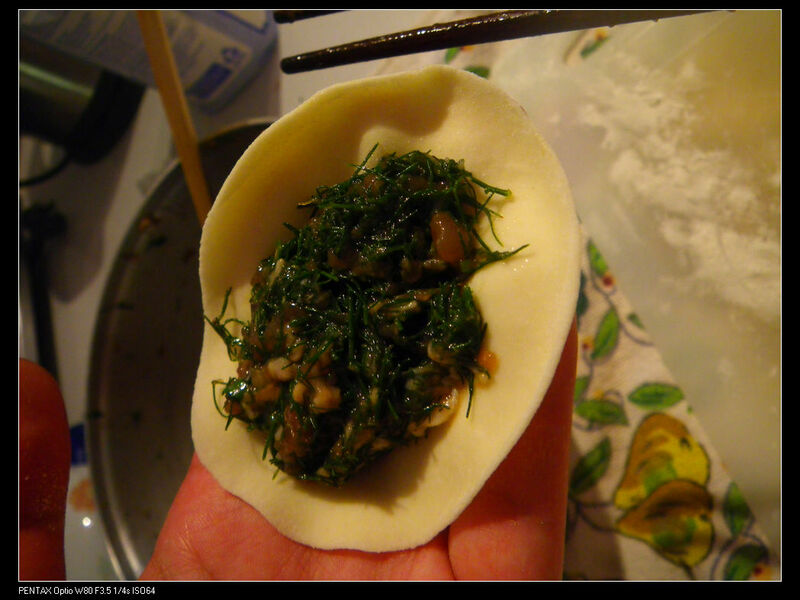 My mom said it is the same as Chinese celery, and we eat the Chinese celery leaves. But I never see any places that serve me celery leaves. I know this sounds stupid, but I just wonder, can we eat celery leaves? Oh, yes Kay. You can definitely eat celery leaves. Try stir fry with egg or make pancakes from it. It tastes superb. Sometimes you can even make it into a good cold entree. How did the hilton high T go?